Hey all - I posted this in the introduction forum but haven't received any responses. I have been growing shitakes from plugs for a number of years. I have also tried growing oyster mushrooms via plug without as much success as shitakes. 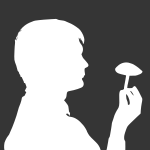 That is my only real experience with edible fungi in my adult years. 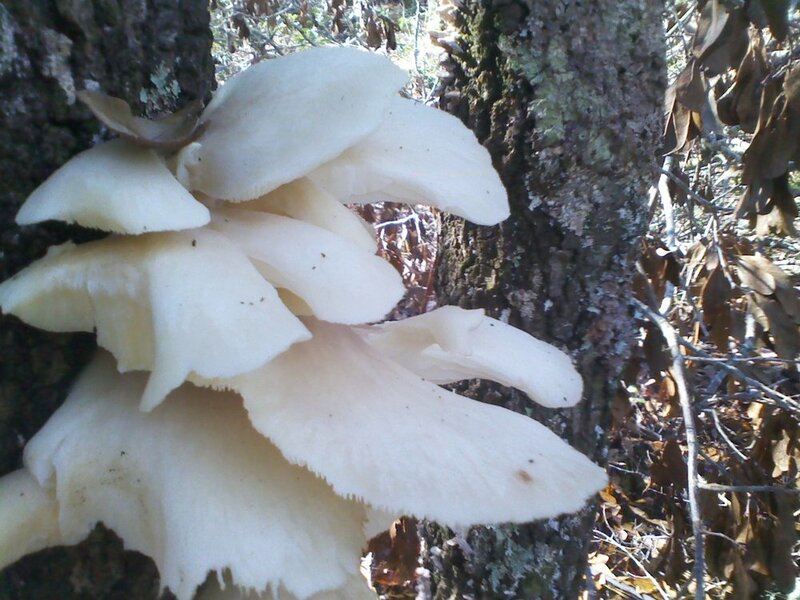 Yesterday while cutting storm damaged trees, I looked up to see what appear to my un expert eyes to be oyster mushrooms growing on a dead water oak of about 5 inch circumference. It is the first time I have actually seen what appears to be an edible mushroom that I recognize as such growing in this area. I am going to attempt to include some pictures here for your advice - these all appear to me to be well past their prime and definitely water logged with all the rain we have been having. thanks and I hope to have found a new hobby. 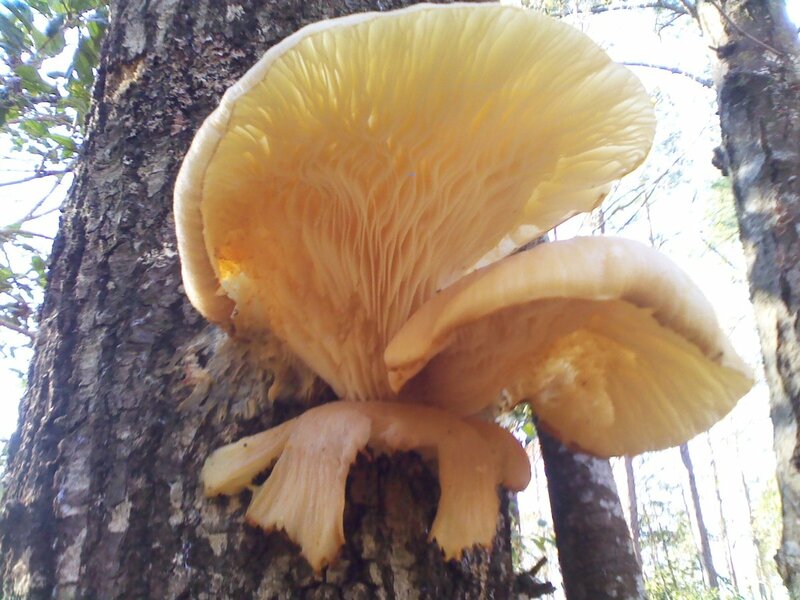 I am also very curious as to if there are any other edible mushrooms I might find growing in the south east in the coastal plain and if there are indeed wild edible oyster mushrooms in my area ? If I can find the pics I took a few months back I will also be asking about what I think are reishi that I found colonizing the roots of a silver maple I cut down a couple years back. 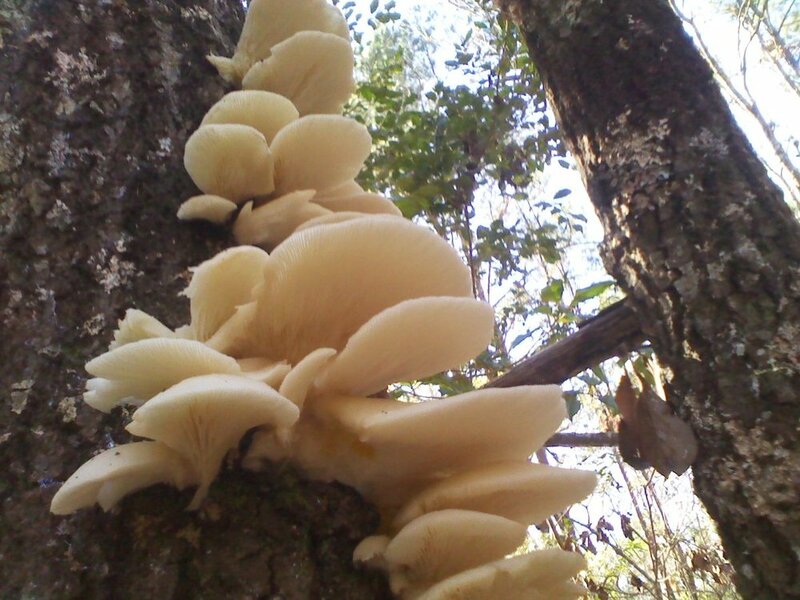 They definitely look like oysters and will probably grow again on the same tree. I'm a little farther north in southern PA. I'm sure you can find some of the same mushrooms there. We pick morels, chanterelles, yellow foot, black trumpet, puffballs, boletes, hedgehogs, chicken of the woods, hen of the woods, oysters, and I'm sure some others I'm forgetting. Your best bet is to find someone who is experienced hunting mushrooms in your area. There may even be a local club that you can join. Sorry you haven't gotten a response sooner. The page is a little slow this time of year. Most of us don't find many mushrooms during the winter.